Colorado 811 will be closed Thursday, November 24th, 2016 for Thanksgiving Day. This means the Contact Center will only process Damage and Emergency Requests on the 24th. Normal Locate Requests called in on Tuesday, November 22nd will be due on Friday, November 25th at 11:59pm. Normal Locate Requests called in on Wednesday, November 23rd will be due on Monday, November 28th at 11:59 pm. For any questions or concerns regarding holiday closures, please contact our front desk at (303) 232-1991. 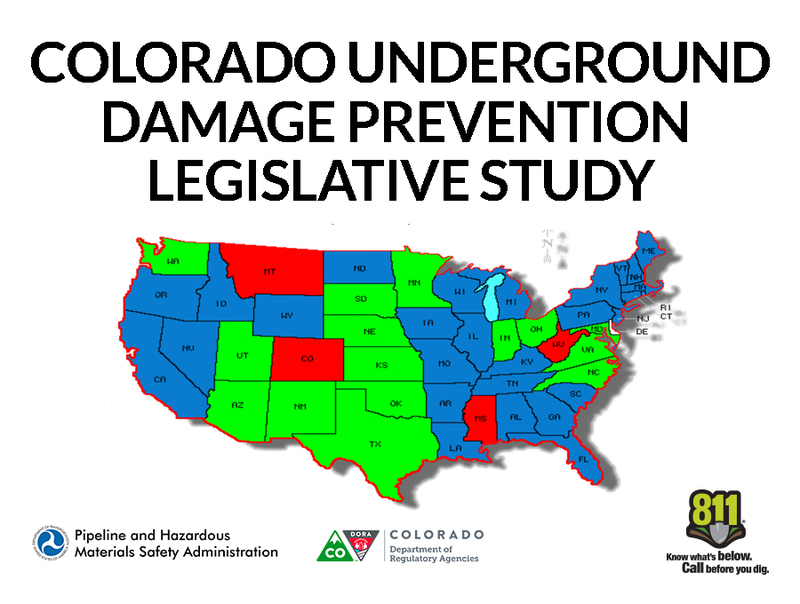 Colorado’s Underground Damage Prevention stakeholders maintain a very strong record for public safety and damage prevention, with no deaths for over 5-years and 2 injuries in 2014. Despite the many efforts that underlie this strong record, reported underground facility damages have recently begun trending upward, with a 24% increase in gas distribution pipeline damages from 2013 to 2014.